Each year, the Superstars in Business program recognizes truly exceptional businesses in the state of Delaware and Kuehne Company is honored to be among the 4 businesses who received this distinguished award in 2018. The company was chosen “thanks to its legacy of innovation, customer service and commitment to community,” as well as “leading the way in chemical manufacturing.” Read our feature story in Delaware Business magazine to find out more. The 2018 Holiday Party was filled with excitement. Kuehne will be in business 100 years in 2019, a family business run by the Kuehne family since 1919. Don Nicolai, President &CEO announced he would be stepping down and assuming the role of Vice Chairman of the Board of Directors. Bill Paulin and Rich Wilkes were named Co-Presidents effective January 1, 2019. Ronda Kuehne modeled a jacket with our new logo which all employees will be receiving. Zach Kuehne shared a video outlining the growth of our company from 1919 to the present. Thank you to Ronda Kuehne and Violet Herring who worked to make the event a success. Kuehne would like to thank all of our employees, customers and suppliers whose support has allowed us to reach this milestone. Jose Valerio has been a valuable member of the Transportation Team at Kuehne since 2014 in his role as a driver. Jose has over 12 years’ experience driving chemical transport tankers. He plays a vital role in getting our products to our customers in a timely manner and truly is the face of the company at the customer. 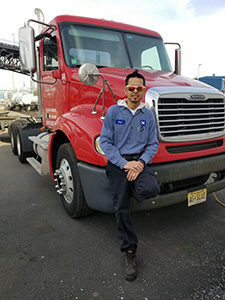 Jose says his number one priority as a driver is to transport Kuehne’s products in the safest of manners and come home to his family at the end of his shift. Jose lives in Elizabeth with his lovely wife Yaritza, and his four children. He enjoys time with his sons who are active in basketball and baseball and believes family time is a top priority. Jose thank you for all of your hard work and dedication! 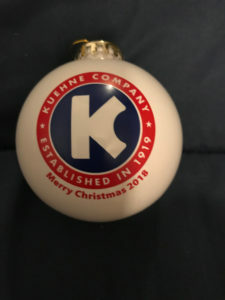 Kuehne Company Celebrates 100 years in business in 2019. 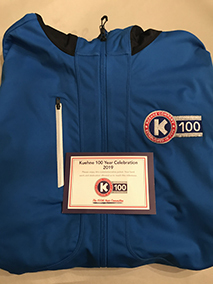 February 14, 2019 the celebration continues with the distribution of the 2019 Commemorative Jacket. The 100 Year Committee will also be announcing events that will be occurring throughout the year. A special thank you to Violet Herring and Jessica Bandera for all their work in preparing the jackets for distribution.